It was a fabulous and enlightening experience being part of this journey.I have had no previous beauty experience but studying the VTCT Level 4 Laser and IPL course has undoubtedly opened a whole new world of what being a beauty therapist truely entails.It was a demanding but extremely interesting course which has helped enhance my communication skills amongst others.I am definitely envisaging embarking onto the levels 2 & 3 beauty therapy courses at Ray Cochrane. I have made some great friends and the teacher , Eleonora was excellent. She was very professional albeit friendly. I totally recommend this school for beauty courses! My name is Alex and I just successfully completed successfully my beauty level 2 and level 3 and advanced laser level 4. I can't recommend enough this beauty therapy school :)... All my tutors were very patient, knowledgeable, professional, and passion to deliver as much as they can in order to prepare myself and other classmates to deliver the best beauty treatments. Also, the school take care of you even after you finish your beauty courses and help you to set up your own business. 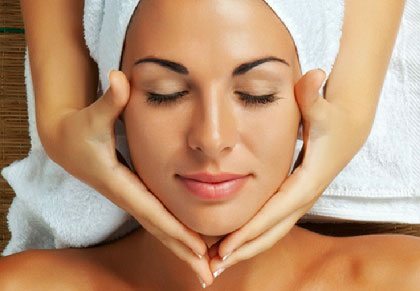 I now set up my own beauty salon at Pimlico Clinic specializing facials, body massage, nails, waxing and microdermabrasion at more. Just over 3 months, my treatments are fully booked in advance. All my customers are very impressed with my beauty skills and techniques. I am very proud of being a beauty student at Ray Cochrane Beauty School. Ray Cochrane is a brilliant private Beauty School! I moved to Marylebone near to the school especially to do 3 x courses in Beauty Therapy (VTCT) level 2 & 3 & Laser and IPL (VTCT) level 4. I used this school because they were very friendly, helpful and encouraging as well as the price I found was the best value in London. All of the lecturers were very warm and friendly and helped me complete all of my courses. The school is small with small classes which personally suited me perfectly. It is in a fantastic location on Baker Street, Central London. Baker Street tube station is only a 2 minute walk. All of the lecturers that I had - Mrs Skoryk, Eleonora , Catherine, Miss Gray were all very kind and patient with me. The management Xubin was also very professional and encouraging. I highly recommend this school from my experience! Thank you so much Ray Cochrane! The course was bespoke for your learning style as our Tutor Karina was excellent and ensured we all fully understood the complicated science in relation to laser technology highly recommend the college. My Education at Ray Chochrane Beauty School was absolutely amazing. Dr Skoryck was incredibly knowledgeable. The skills and knowledge that I attained have been very valuable to me. I would recommend this school to everyone thinking of going into Beauty. I Loved every minute of my time at school. Thank you. After doing a lot of research, I have decided to study level 2 beauty course at Ray Cochrane beauty school. I am glad I made that decision. Our level 2 teacher was very supportive and highly knowledgeable. At the moment I am doing the level 3 course at the same school and I am also really enjoying it. Our teacher is really nice and makes each class very enjoyable. She explains things clearly so that everyone understands what to do . I can't wait to start my level 4 very soon. I highly recommend the Ray Cochrane beauty school.